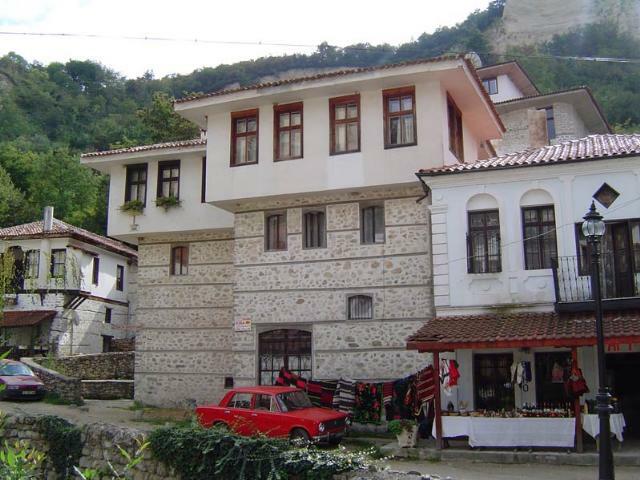 The town of Melnik is located on the southwestern slopes of Pirin Mountain, 23,5 km away from the town of Sandanski and 12 km away from the railway station of Damyanica. 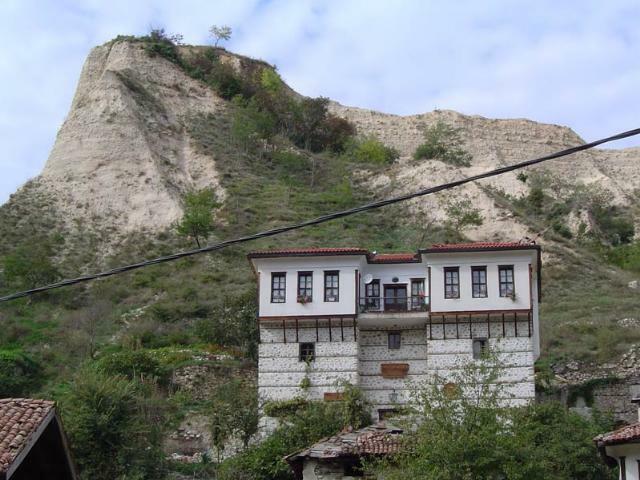 Melnik, nowadays the smallest town of Bulgaria, was once a significant economical and spiritual centre, with a population of more than 25 000, having around 1300 houses and more than 70 churches. Supposedly the Thracians established the town. When walking on the cobblestone narrow roads one can see the “traces” left by Thracians, proto-Bulgarians, Greeks, Latinos and Turks. 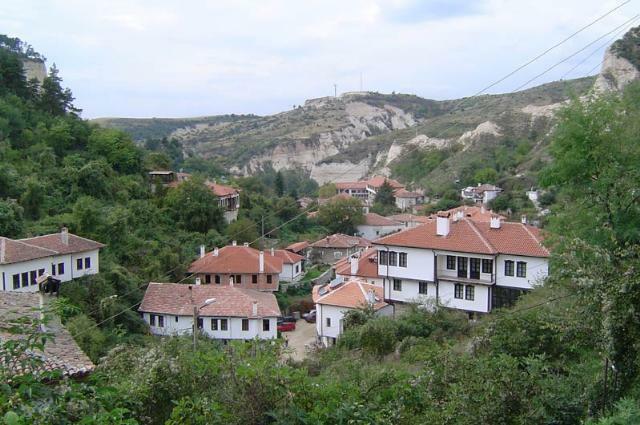 At the moment the population of the town is 230 people, however, Melnik has a great potential for tourism development. Unique is the ancient atmosphere that absorbs each visitor in the magnificence of the far-off times. The ancient houses of Melnik impress with their luxuriant architecture, their wine-cellars and furnishing revealing the Bulgarian sense of simplicity and beauty. The most popular is the Kordopoulov House, which is the biggest on the Balkan Peninsula from the period of the Bulgarian National Revival. It is well known with its extraordinary frescoes and enormous wine-cellar. 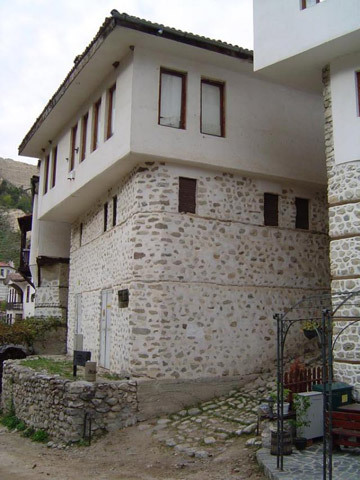 Other famous houses are the Boyar’s House - the oldest one preserved in Bulgaria, and the Pashov House, which has been turned into a museum. Of interest are the ruins of the St. Nikola Monastery (12c. ), the Slavova Fortress, the Roman Bridge, the Old Turkish Bath, and the remains of several churches of the 75 that once existed. 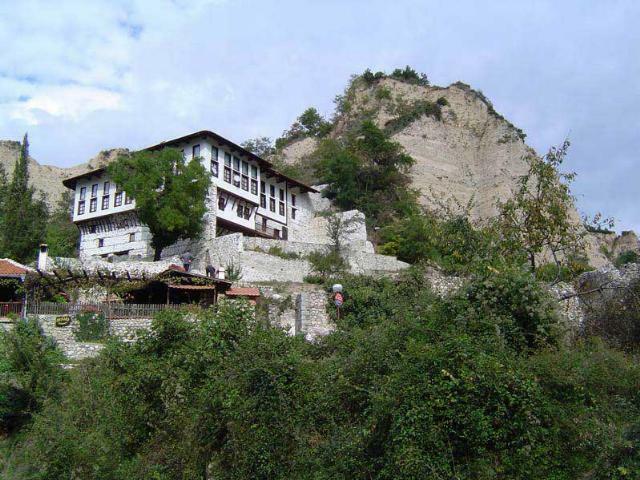 Nearby the town (6 km) is located the Monastery of Rozhen, Christian faith and art centre. 20 km south-east is situated the place of Rupite. Nowadays Melnik is a reviving tourist town, famed for marvelous wine-cellars, splendid wine, pleasant hotels and good service.